92, born in the Bronx, NYC, on December 27, 1925 died in his Hawaii Kai home on January 29, 2018. 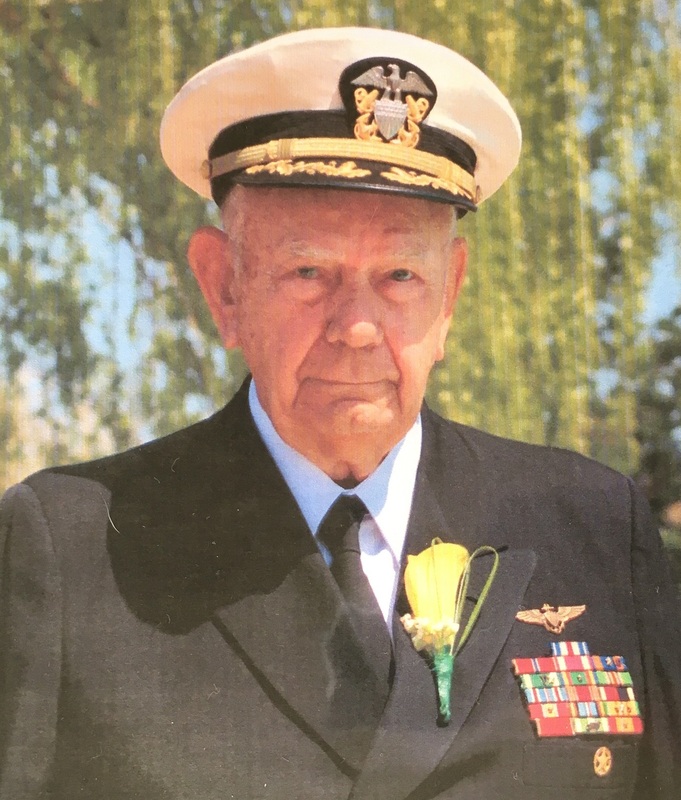 His 32 years of distinguished Navy service included the Silver Star Medal, Bronze Star Medal, Meritorious Service Medal, Air Medal (11 awards), Navy Commendation with "V" (2nd award), Meritorious Unit Commendation, American Defense Service Medal, World War II Victory Medal, Navy Occupation Service Medal, National Defense Service Medal (2nd award), Armed Forces Expeditionary Medal (Vietnam), Vietnam Service Medal, Naval Reserve Medal, Vietnamese Gallantry Cross with Bronze Star, and Republic of Vietnam Campaign Medal. Capt. Griffith was VA-145 Squadron Commanding Officer of the A-1 Skyraider pilots. He led the first air attacks on North Vietnam on 5 August 1964 that included the Gulf of Tonkin incident with USS Maddox and USS Turner Joy and the air strike on Hon Gay, North Vietnam. He made an astonishing 660 career aircraft carrier landings and had 186 combat missions. After retiring from the Navy, "Hal" founded Lion Realty and served as a realtor for ten years. He was an active member of the Waikiki Yacht Club, racing his sailboat, Nalu. He was also a member of the Shrine Masonic Lodge (32nd degree) and Elks Club. He is survived by his beloved wife Carolynn and five children: Susan, Bob (Libby), Rick (Susan), Kathie (John), and Tom (Lora). He also has 13 grandchildren and one great-grandson. Burial will be at Hawaii State Veterans Cemetery in Kaneohe at 11 AM on Tuesday, 6 March 2018, with Military Funeral Honors.